Rather than propose that retreats are the answer to all of these problems, let me suggest something else. We take advantage of the JTE scorecard that units are filling out with rechartering, and use the scorecard as a roadmap. This is both a novel idea as I propose it and a hackneyed phrase in the BSA. How is it both? So far, what I have written is only hackneyed. My twist comes later. First of all, any scout unit should have a regular planning process. There must be a way for your pack to make future plans for meetings, activities and fundraisers. There are many ways to do this. An entire module, #SCO 227 (Annual Program Planning), of the Cub Scout leader training system provides a guide for the annual program planning meeting. Take this course or review it if done previously. I have a friend named Larry who is a retired Air Force Pilot. One day he shared with me an interesting fact about flying. He said that, for every single degree you fly off course, you will miss your target landing spot by 92 feet for every mile you fly. That amounts to about one mile off target for every sixty miles flown. If you decided to start at the equator and fly around the earth, one degree off would land you almost 500 miles off target. So, the longer you travel off course, the further you will be away from the intended target. I would suggest that long range planning is too important to be left to once per year. At a past roundtable, I have stated that I prefer a method of planning on 18-month cycles with revisits every 6 months. An annual, long-range planning meeting or retreat can still be used, but it is tinkered with more regularly. I would add to this thought. But to understand my ultimate point, allow me digress a moment to discuss the structure and intent of the Journey to Excellence Program (“JTE”). As a snapshot in time, it is a report from the unit to council about the current health of the unit. As a series of snapshots in time, it is a report to the unit’s leadership about the direction of the unit’s health and its relative position to other units in the district. The Gold, Silver, Bronze levels are these quick indicators. Gold units are in the 80th percentile of units nationally. 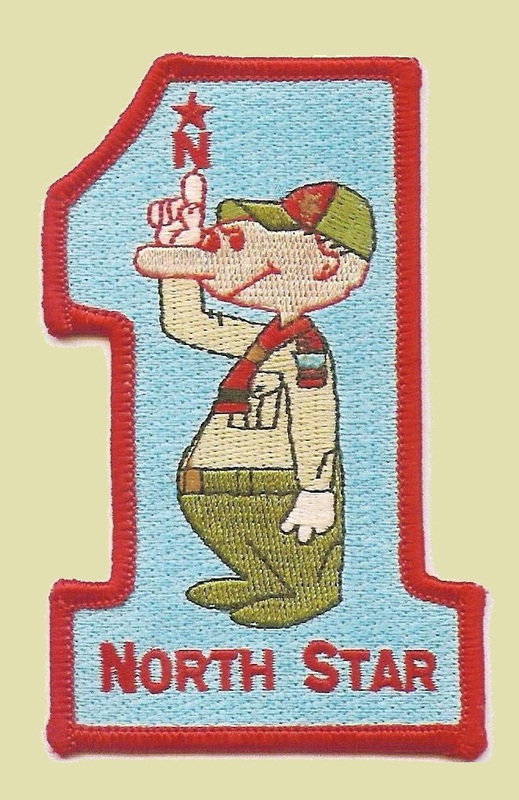 In North Star we had 22 Gold units last year. A unit that is consistently Gold is performing well. A Silver unit is in the 50th to 80th percentile nationally. A unit that was Gold last year and has fallen to Silver has some problems to sort out. As a discrete score, the unit can also study what areas are the units’ strengths and weaknesses, leading to their overall rankings. As a formatted report, the scorecard gives the unit an outline of topics that should be addressed in long-range planning, beyond simply annual calendar and budget issues. As a discrete set of topics, it allow Unit Chairs an easy means of delegating responsibilities to members of the leadership and to hold them accountable to their success and struggles. The existing criteria offer a means of avoiding conflict within the unit about what should be indicators of success. The national committee drafting these scorecards has attempted to highlight the Best Practices of healthy and successful units across the country. The scorecard is one of their means of communicating these Best Practices as simply and succintly as possible. As an ever-evolving set of criteria, these scorecards reflect changing strengths and weaknesses in units across the country. If most scout troops are scoring well (i.e., reaching Gold level) on campouts per year, the next year that criterion may be edited to be more challenging to add more campouts or more adventuresome campouts. The Best Practices evolve to improve themselves and beome ever-improving guideposts. For you project managers and engineers out there, does this sound like 6-Sigma? It should, because it is. What does this mean? Six Sigma is a process of identifying ever-improving ways to reach a near-perfect result. This is done by identifying the largest flaws in the process, removing those flaws, assessing, identifying the newly-assessed largest flaws, removing those flaws, re-assessing, and repeating four more times. The keys are setting up a process and trying to improve it. The complete opposite method is to set a method, try it, fail, throw out the method, and install an entirely new method. This is the classic “throw the baby out with the bath water” method. This damaging method is what most organizations do. It often leads to repeated failures, one success, and then new failures. No lessons are ever learned. In a scouting context, imagine you are taking a troop on a campout. The three patrols all pile out of their cars at the campsite. The campsite is set up in a rush, in the dark, under threat of rain. The boys quickly huddle in their tents as the rain begins to fall. The next morning the boys get out of their tents to discover with the early morning sun that there is no patrol identity in the campsite layout. In some troops, that is left as a lesson to be learned for the next campout. They start cooking. The patrol members are in each others’ way. They eat each other’s food because they can’t identify what food belongs to what patrol. The patrols fight and bicker. Some patrols go unfed because no one is cooking and the patrol leader can’t make sense of the mess. The problem and fights continue the rest of the weekend. The Patrol Leader Council discusses the problem at the next meeting and many angry complaints are heard. In other troops, the scoutmaster pulls the Senior Patrol Leader aside and discusses the matter. The scoutmaster asks what the SPL thinks of the jumbled tent and patrol arrangement. The scoutmaster keeps asking questions until the SPL “discovers” that the patrols have no territory of their own. The scoutmaster then asks how the SPL can remedy the problem and persists with questions until the SPL suggests striking the tents and re-organizing before breakfast. The SPL instructs the patrols to reorganize before breakfast. The patrols are upset and late in finishing with breakfast, but the campsite looks great. The breakfast is cooked and cleaned faster than the other troop’s because there is less conflict during cooking. The rest of the weekend goes smoother because the troop can focus on fixing newly identified flaws, such as missing assignment rosters and scouts sneaking away to avoid KP duty. The PLC becomes focused on how many things went well at the campout once initial problems were resolved and newer problems were quickly addressed. Now fast forward to the next campout. The first troop remembers the struggle of the last campout but is again in a hurry to pitch their tents. They pitch their tents in a similarly jumbled mess and repeat the conflict followed by the angry PLC. The second troop remembers the striking and re-pitching tents the next morning, while being hungry for breakfast. They instead pause and reflect a few moments and plan a better organized campsite. When they get up in the morning, they will have conflicts and problems, but they will have improved on the topic of campsite layout. The first troop made no attempt to improve once, let alone repeatedly. The second troop made adjustments early and often. This led to better long-term operations. The second troop is on the path to Six Sigma. So with the lessons of what is Six Sigma and its application to scouting aside, what is my twist about how we apply Six Sigma to our long-range planning? I would suggest that the annual planning conference address the overall JTE Scorecard topics, but the twist is that the topic with the largest and timely problems be addressed at the subsequent committee meeting. Those topic be given a lot of extra attention at the monthly meeting. At the next monthly meeting, the report on the status of that problem is addressed, hopefully with near complete or scheduled resolution. At the same meeting, the next largest and timely topic be discussed and a plan formulated to address it. This pattern of assess, identify, address, report, and re-assess is repeated each month. This focus on JTE topics throughout the year keeps problems in the forefront of the committee’s thinking. It gives less time for small problems to grow without being addressed. Using the Scorecard as an outline keeps the unit focused on topics that have been proven to lead to successful units. The committee does not need to waste time re-inventing the wheel. When the six-month cycle to re-assess the long-range (18-month) calendar comes up again, the problems will be fresher in the committee members’ minds. More committee members will feel part of the process, even if they have scheduling conflicts with committee meetings from time-to-time. As new problems are addressed, recruiting an adult or parent to play a role on the new monthly project allows a year-round recruitment process to be implemented. The chair won’t have a big rush at re-charter time to re-staff. So, look at annual planning and JTE as part of one overall plan. Use the JTE scorecard to find new ways to improve each month. Demonstrate Six Sigma methods as adults to your scouts in order to be better role models. Take Wood Badge in 2018 to learn how to delegate these tasks better and build a healthier team.